Palestinian solidarity: "We are not victims. We are freedom fighters." "It is true that suffering is high. But we are not victims. We are freedom fighters." These were the words of 17-year-old Ahed Tamimi, the young Palestinian arrested and imprisoned by the Israeli military who rose to worldwide prominence as a symbol of resistance against oppression and occupation. Ahed spoke via Skype to a recent, enthusiastic meeting in Coventry, organised around the issue of the treatment of Palestinian child prisoners. She explained how she had suffered verbal and sexual harassment at the hands of the authorities in an effort to break her. She urged the meeting to "keep up the solidarity and to put pressure on the government to end the occupation". 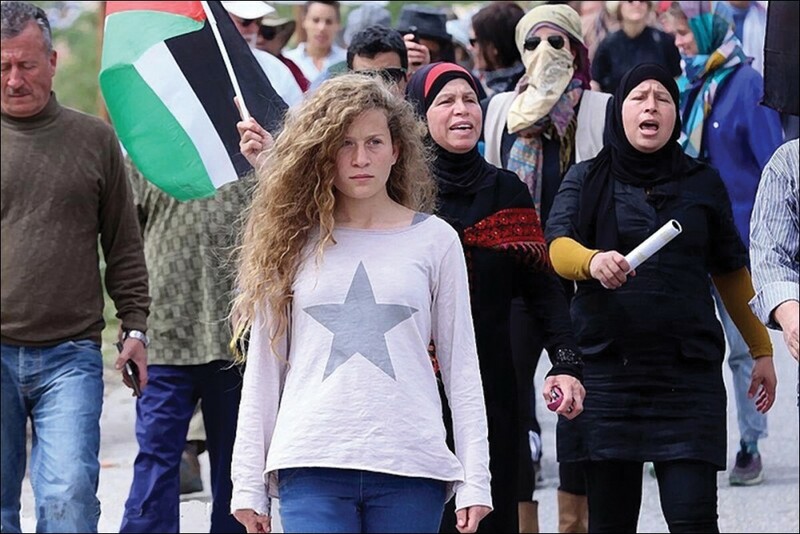 Ahed, along with all Palestinians resisting the occupation, are an inspiration to millions around the world. It is important that ordinary people here in the UK show solidarity with the Palestinian masses. Capitalist governments around the world, along with the EU and United Nations, are part of the problem not the solution to the national conflict. Only the solidarity of working class people can be relied upon. The continuation of capitalism in the region means war, instability and oppression. We support the fight to build a socialist movement across Israel-Palestine with our sister organisation - Socialist Struggle Movement. Mass struggle can put an end to racism, insecurity and the nightmare of occupation. Socialism would guarantee the right to self-determination of all national groups, as part of a voluntary, socialist confederation of the Middle East.